SEO Live is a combined half-day workshop and networking event for marketers of all levels. 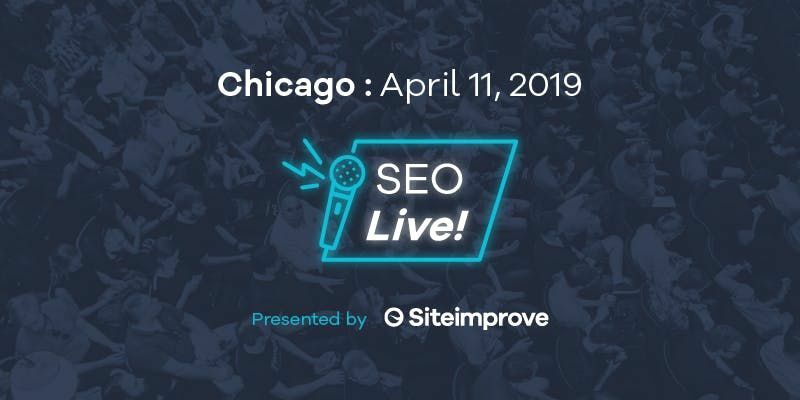 You'll hear from local marketing leaders and experts, NordicClick and Bradley University on ways to improve you SEO strategy. You’ll also have an opportunity to build an SEO strategy and get hands-on training with the Siteimprove SEO tool. Why | Just as search engines change daily, your SEO strategy needs to evolve as well. A solid SEO strategy needs to constantly be reevaluated. Where | Hyatt Regency Chicago - Don’t miss this opportunity while we are in your city! Who | Siteimprove, NodricClick, Bradley University and you! What You'll Need to Bring: Laptop and charger! 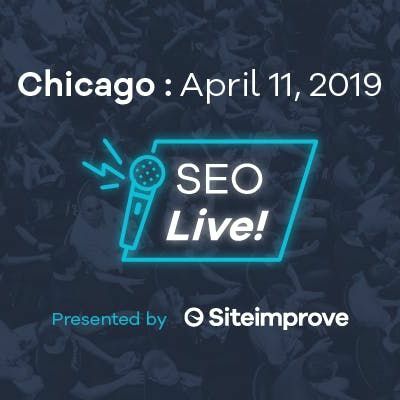 We’ll be doing a live workshop inside the Siteimprove SEO tool, so you’ll want to have your computer with you to get the full experience. Jim Crone has been on staff at Bradley University since 2002 and is also a proud alumnus earning a B.S. in Communication. He currently serves as the Executive Director of Digital Marketing and Communications within the University's Office of Marketing and Communications. In this role he manages all aspects of the university's digital marketing strategy including the university's website, social media presence, online advertising, digital content creation and video production. Jim's responsibilities touch all constituents of the institution including, but not limited to prospective and current students, faculty and staff, alumni and friends of the university. Jim and his team have been utilizing Siteimprove products to enhance Bradley's digital presence for nearly a decade. Mike McAnally is a co-founder and partner at NordicClick Interactive, a full-service, award-winning digital marketing agency. Drawing from over 20 years of online marketing experience, Mike lends his expertise in a wide range of areas, from SEO and affiliate marketing to paid media and e-commerce. An “SEO” to the core, Mike prides himself on equipping businesses with a robust strategy to drive and convert online traffic. Heavily involved in his community, Mike’s passion for teaching digital marketing has led him to present at and participate in numerous conferences, webinars, and local events. It’s not all work and no play though. Known as NordicClick’s Captain of Fun, Mike brings the fun wherever he goes, championing a highly enjoyable work environment. When he’s not at the office, Mike loves spending time with family and friends on Lake Minnetonka, golfing, coaching wrestling, and attending local events. Diane Kulseth is an SEO Consultant at Siteimprove. She specializes in educating teams on the value and necessity of Search Engine Optimization (SEO) for customers and internal departments. Prior to Siteimprove, Diane held digital strategy roles at the University of St. Thomas and CaringBridge.org, developing full-funnel marketing campaigns focused on acquisition and conversion. She has also been actively involved in the local digital marketing community, as a volunteer for the Minnesota Interactive Marketing Association (MIMA), on the board of Women in Digital – Twin Cities, and as a board member and speaker for the Minnesota Search Engine Marketing Association (MNSearch).